We are already in Christmas craft mode at our house. 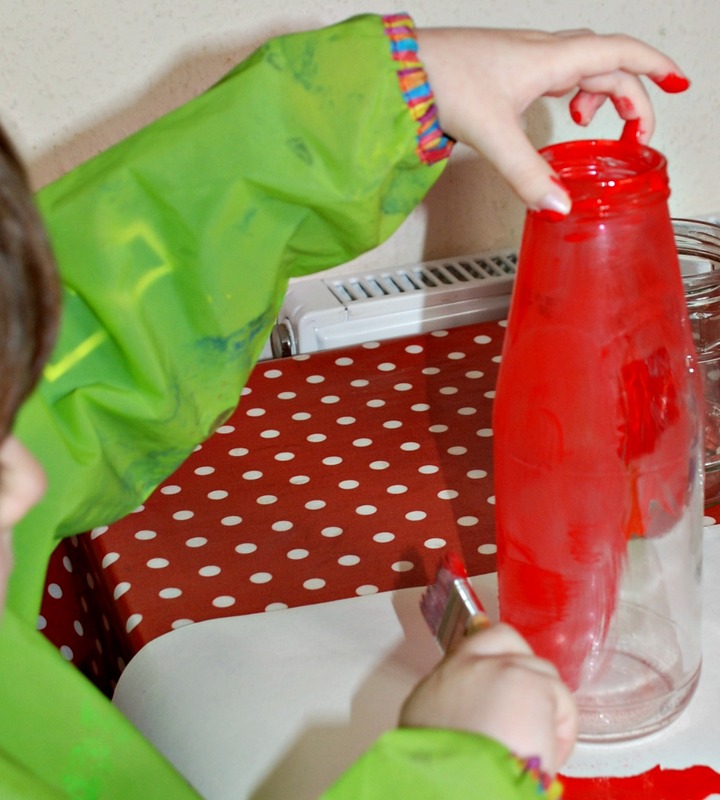 In the past the kids have made decorated bottles for storing our art goodies and they loved the activity it so I thought it would be fun to make some Christmassy bottles. I kept aside some old food bottles that would have been recycled and washed them in warm water so that all the advertising paper came off. (Later note – we have made a number of these bottles now and the old Jam bottles or wider bottles tend to work better). Some of the bottles the kids choose to paint with their acrylic paints and some they just left plain. 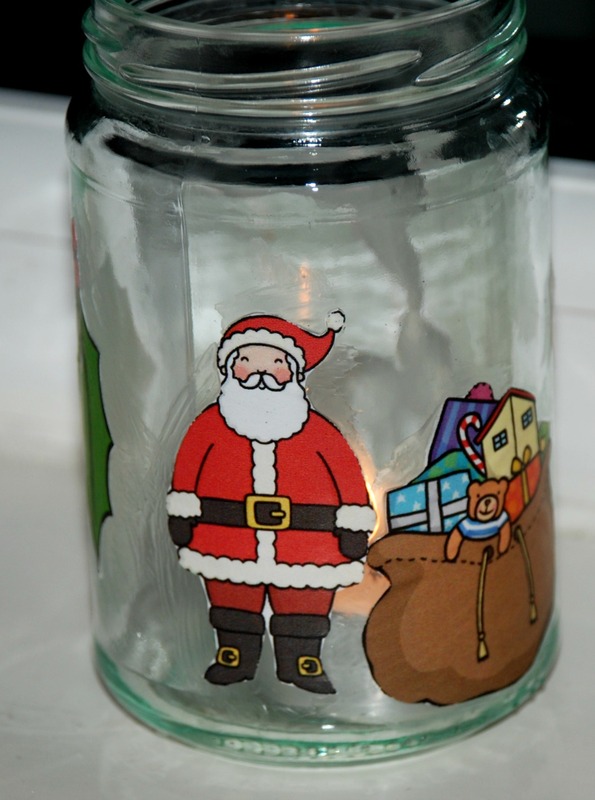 and my daughter and I cut out the images together and the kids got started glueing the pictures onto the bottles. 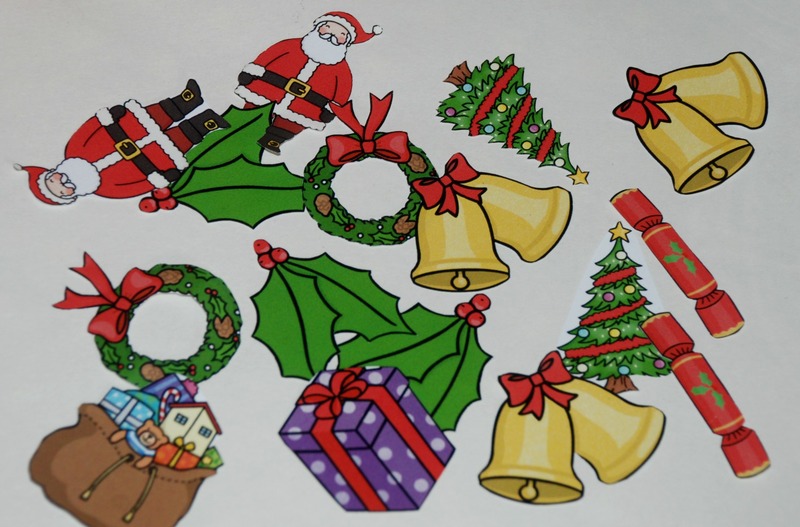 We used our Mod Podge for the glueing (Mod Podge is great for lots of crafting activities I normally just order ours from Amazon but you ca also get it at craft stores –Mod Podge 8 oz Waterbase Sealer, Glue and Finish, Clear ). We tend to add quite a bit of glue and we painted the glue over the edges of the pictures. 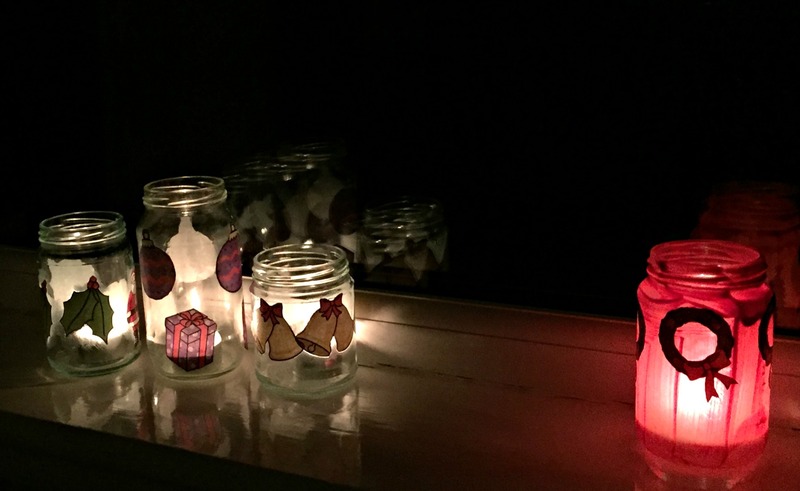 Once the glue had all dried we added our Tea Light candles and placed the bottles on the window sills. I really love how they look on our window sills. 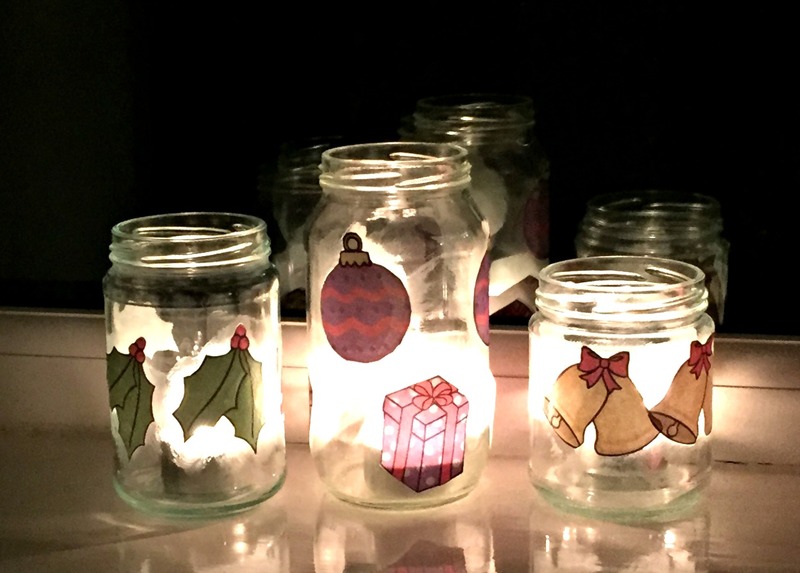 They bring a lovely festive feeling to the room, especially at night when the candles inside are lite and all the other lights are out. Good thing I have lots of space in the house for all the Christmas bottles. I have included Affiliate links. If you follow an affiliate link and go on to purchase that product, I will be paid a very small commission, however your cost will remain the same. 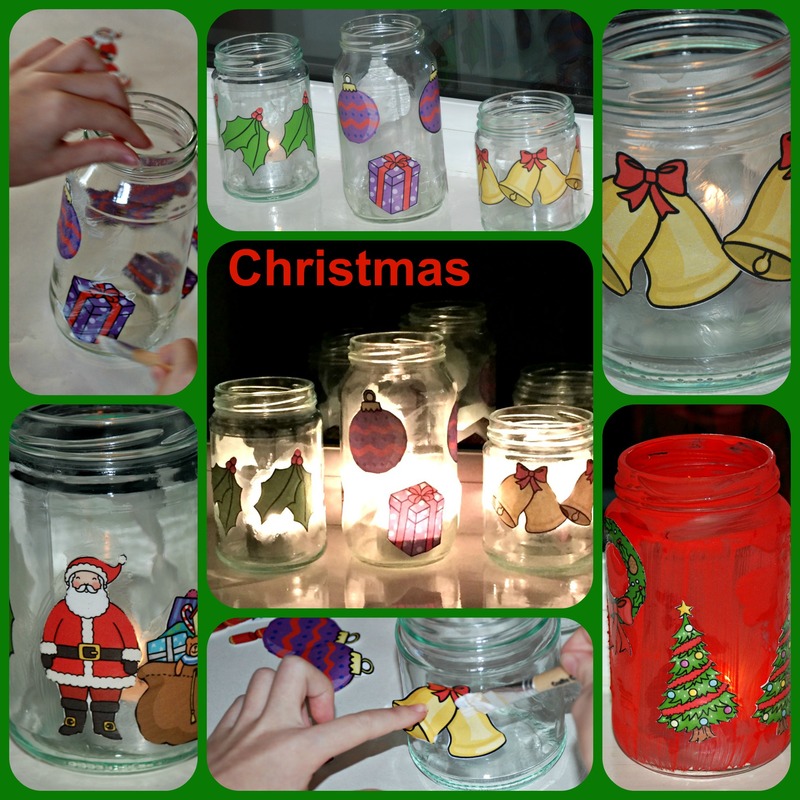 This entry was posted in Art and Craft Ideas and tagged children's craft, Christmas bottles. 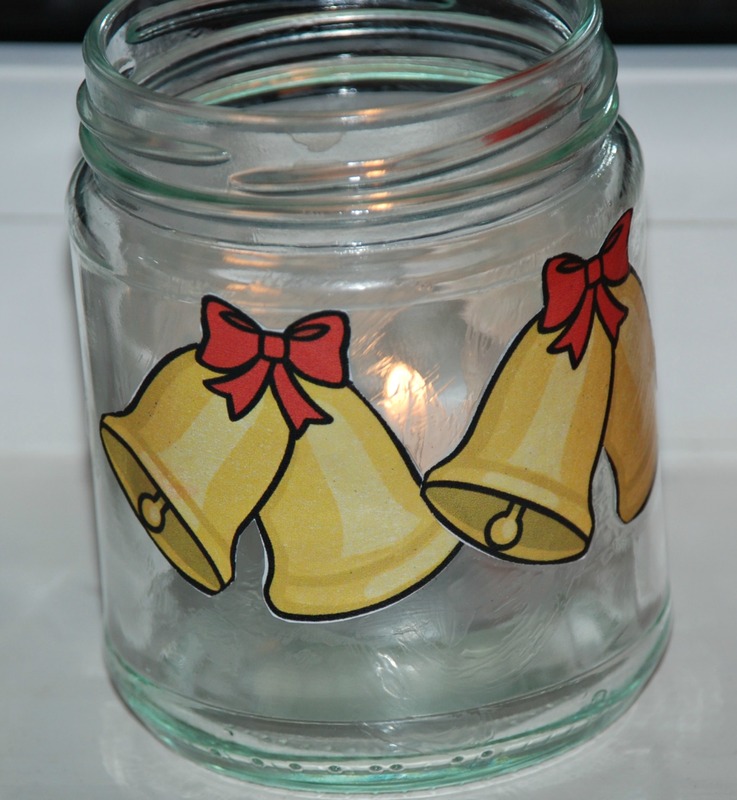 Luminaries, Christmas crafts, Christmas ideas, homeschooling, Twinkl. Bookmark the permalink.